I have been waiting for a while to write this review as I was privileged to read the proof several months ago. It is not often that a book lives up to its title in such an concise way but Roddy Doyle really has written a brilliant book. It is an allegorical tale of life in Dublin and how the ‘black dog’ of despair hits the adult population. Luckily the children still have faith in the positive and over a day they seek to banish the darkness by affirming that things are brilliant. It may be that having an Irish mother made me more susceptible to the concept, but I had no difficulty in hearing the accent in my mind as I was reading the book, together with the very lyrical language.. It really showed the spirit of the children as they banished the ‘black dog. Despite the serious theme of the book it is full of humour and a huge optimism about the ability of people to overcome even major problems. 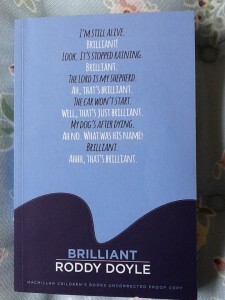 It truly is brilliant! 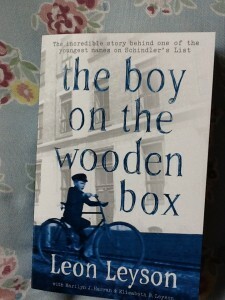 This is the amazing true story of a young boy who survived the war thanks to the efforts of Otto Schindler. Along with his father he was employed in Schindler’s factory and the book’s title related to the fact that he stood on box to reach the machine controls for his job. The story is a simple retelling of his story, but it is haunting and a real reminder of the horrors that people went through. It also shows how human nature can overcome such trials and succeed in life. 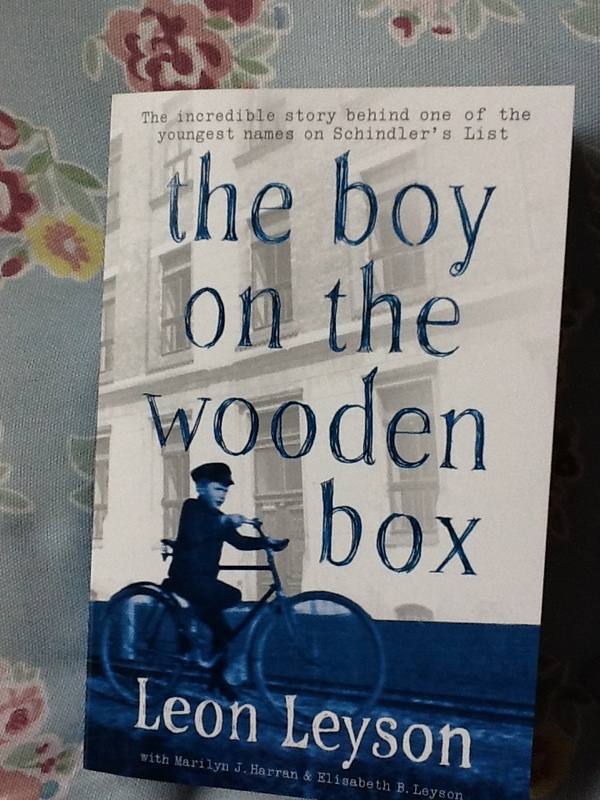 Unlike many other wartime stories it does not end in 1945 but follows Leon as he grows into adulthood in the USA and eventually meets Otto Schindler again. It gives us the answer to the question about ‘what happened next?’, something which is often missing from other accounts, but which will be greatly impacted by the trauma that the main character has been through. It seems amazing that I have never heard of this author. When I was growing up in the 1960s she was the most famous children’s writer in Holland and went on to win the Hans Christian Andersen award in 1989. Thankfully her work is now being translated and brought to a wider audience. 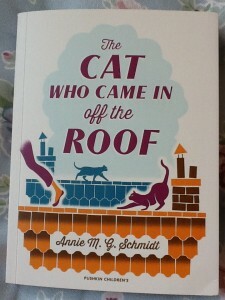 It is a quirky little story about a reporter called Tibbles who loves to write about cats, but is told to stop by his editor because the stories are boring. Then one day Tibbles rescues a young lady from the tree she is hiding in, because of a dog. The woman is called Minou and she shows some remarkably catlike traits. Well, as it turns out, she was a cat and turned into a human after eating scraps from the waste bin at a science institute. All sorts of situations occur as she struggles to keep her cat links whilst living as a human. It is a fascinating book about change and being accepted as well as about the dangers of big business. 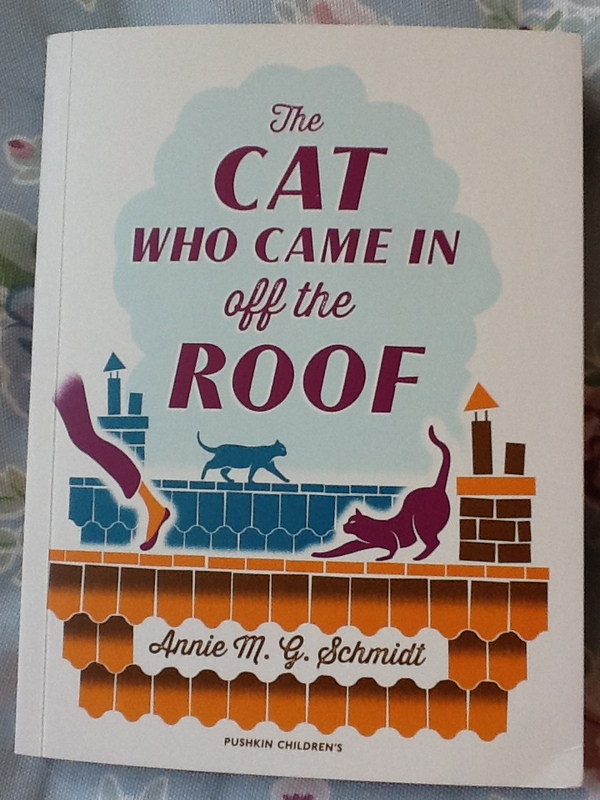 There is a very 1950s feel to the book and I keep imagining Miss Minou as Audrey Hepburn (not a bad thing), but the themes are still relevant today and the characters are full of personality. What a great piece of fun for those who love oddball heroes and a tongue in cheek approach to the Greek myths. Aries, the ram of the Golden Fleece, had been in the underworld for millenia and he is still mourning the loss of his fleece. Then he wins the opportunity to go on a quest to our world in order to search for it. However he and his friend Alex end up in modern London, not Athens and then all kinds of dangers start presenting themselves. 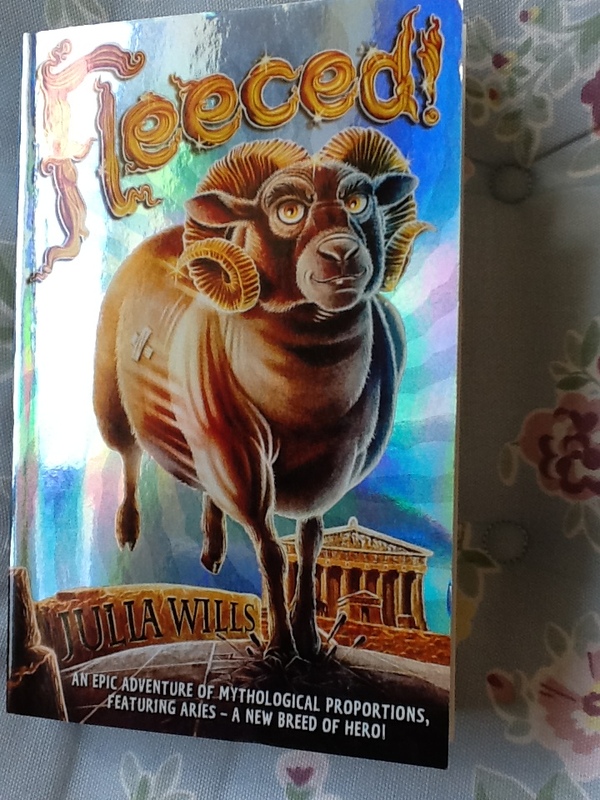 Who is trying to kill them and can they depend on their new friend Rose to help them, but most importantly what has happened to the fleece since it was last seen in ancient Greece? Fantastic fun and will really suit those who enjoyed books such as “The Pig Scrolls” by Paul Shipton, “Corydon”by Tobias Druitt and of course the Percy Jackson novels of Rick Riorden. I do hope that we will see further adventures for this Ram with attitude. A really great book for those 8-12 year old who want to spread their wings, but feel that they are being stopped by their parents. We all know that the world is a dangerous place but sometimes being over protected can feel like being wrapped in bubble-wrap. Charlie finds that he is really good at skateboarding, but is not allowed to anything dangerous by his mother. How he fights for his dream and discovers a family secret are the two main themes of this book. Charlie is such a great hero, he just wants to be normal and do the things that others do, so that he is not picked on at school. Yet again Phil Earle has produced a fantastic story with lessons for us all and a hero who we can all cheer for.